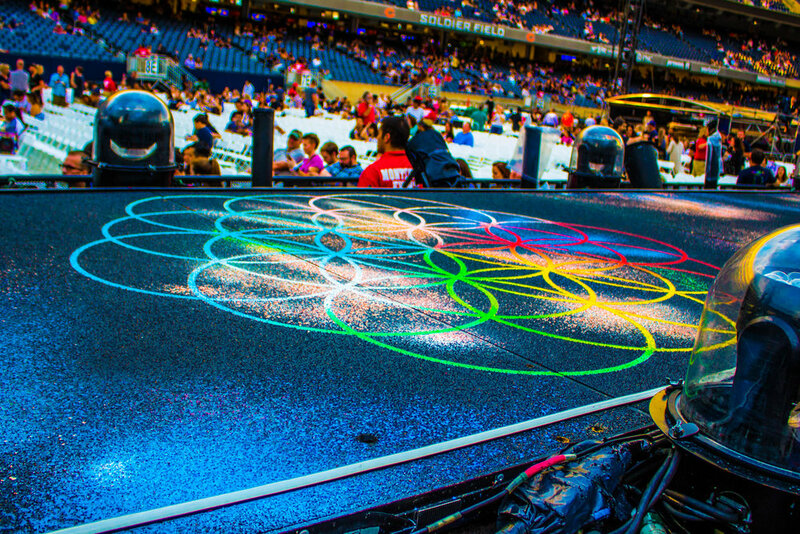 “It’s gonna be semi-acoustic and semi-electronic. I’ve got somebody doing beats and bass, and I’ve got my guitarist. I’m singing and sometimes I’ll be playing piano, and we swap around the instruments. 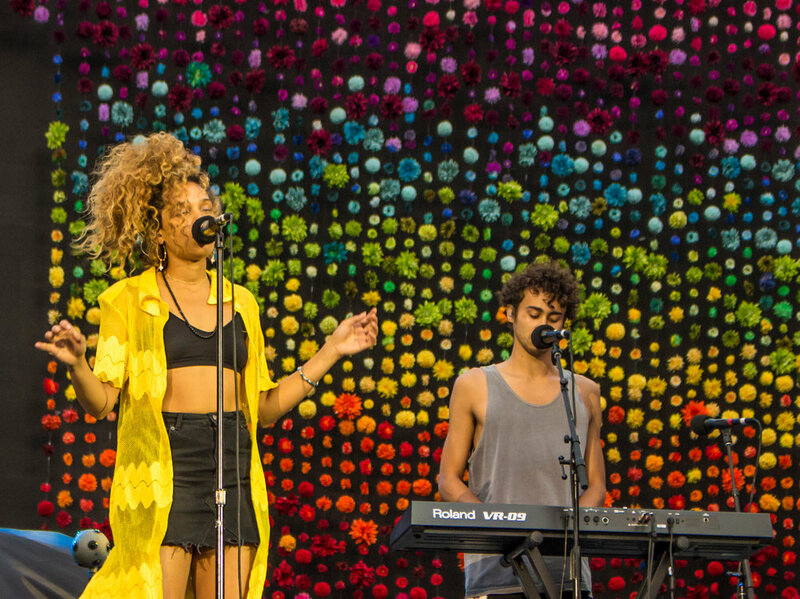 It’s a little different, but it’s cool because I’ve been doing it the same for a couple years,” Izzy Bizu said in our interview last month, describing her set on Coldplay’s massive Summer stadium tour. 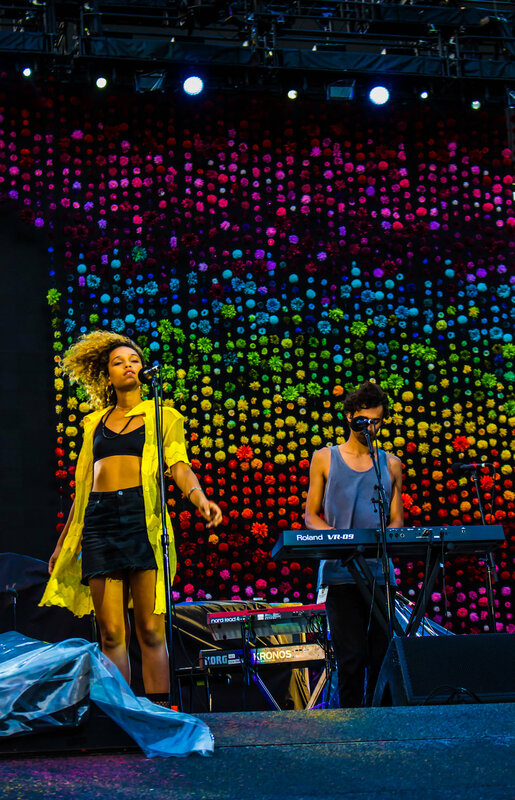 When Bizu took the stage at Chicago’s Soldier Field on Thursday, August 17th, the rain that had been teasing the city all day had finally passed. Kicking off at 7:15 in the evening, Bizu’s set filled up the last space of daylight and held up to her vision as she opened with a stripped back version of the normally funk-laced tune “Adam & Eve” from her debut album A Moment of Madness. 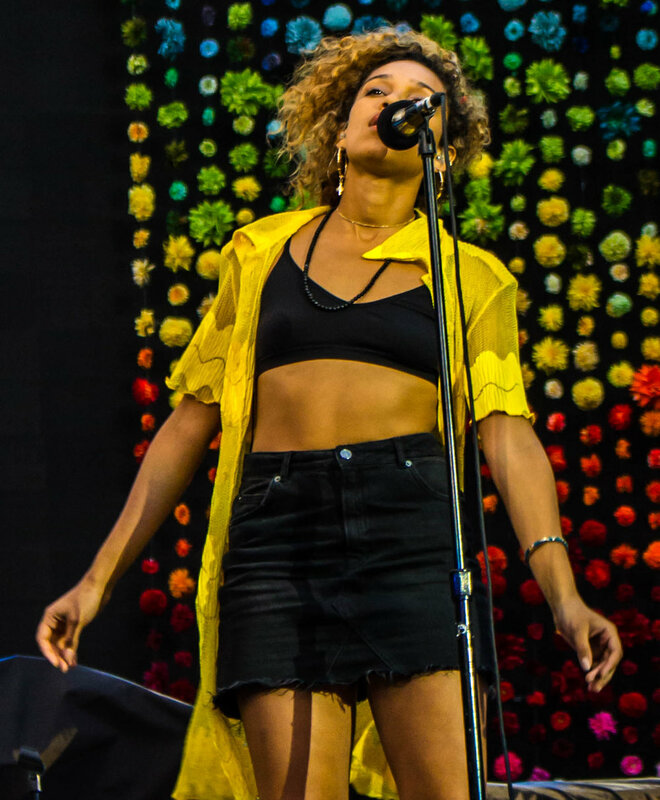 Moving right along into Bizu’s popular track “Lost Paradise,” her smooth vocals rang out in a goosebump-inducing fashion, engulfing the 60,000 capacity venue. Another highlight of Bizu’s short, but sweet set included her performance of the viral song “Someone That Loves You,” which was done as a collaboration with the soulful electronic duo HONNE. Other than brief song introductions and an occasional check in on the audience, Bizu kept the talking between songs at a minimum in order to fit in as much music as possible. The music spoke for itself, completely enchanting the crowd as they eagerly awaited the AlunaGeorge and Coldplay performances that would follow. The 30 minute set wrapped up with a reworked arrangement of “White Tiger” just as the sun began to set of Soldier Field. Keep up with all of Izzy Bizu's upcoming tour dates here, and listen to the full album A Moment of Madness below. Can't get enough Izzy Bizu? Read our full interview with her here.